Low Cost Spay and Neuter Clinics | Modified k9 Inc. If you know of any additional pit bull friendly resources located in Pennsylvania that are not listed here, please do share. e.mail modifiedk9@hotmail.com with your info and input. 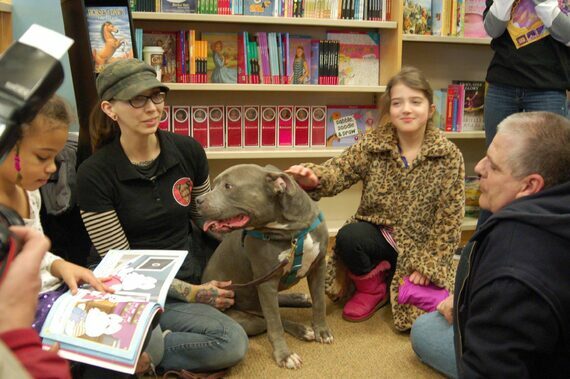 Modified k9's own Brad Pit at a K9 Rad Readers event. He loves to be with people and especially children!